Wow... I'm usually of the opinion that adding non-beer stuff to beer is not a good idea, but this mango pepper beer is really tasty. I wouldn't have a clue how to clone this, but I do dig the crap out of it. Their backstage series has been Way. Too. Sweet. Lizard of Koz is pretty much undrinkable to me. This one was when it first came out, but after letting it mellow for a good 6 months or so, it's really nice! Wish I had bought a few more bottles. Don't think it would be hard to clone, though. 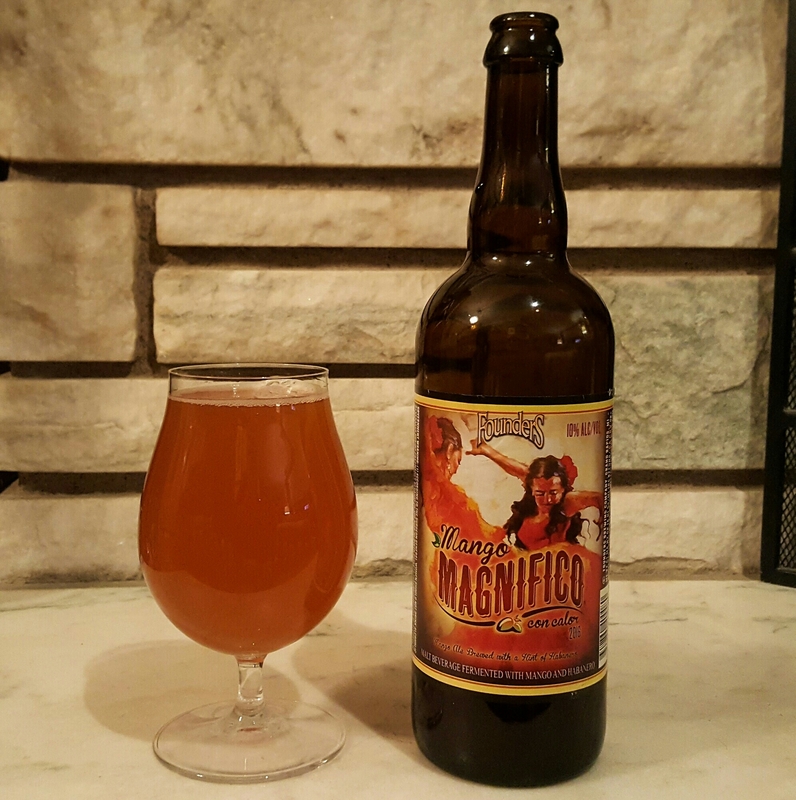 Brew a strong golden ale, kill the yeast, back-sweeten with some mango purée, clarify, and then add some habanero tincture to get the heat. Would have to be kegged to maintain the sweetness. But yeah, after it mellowed it was a great beer! I loved the koz Disliked the mango magnifico. Founders is close by and I never seem to make it there. Maybe because it's downtown and kind of a PITA to park at if you're driving in. On a bright note, I did pick up a 15 pack of their Mosaic Promise for the beach later today.